In preparation for the launch of the Apple Watch on Friday, Apple on Thursday launched the Watch App Store, as well as an online User Guide for people learning to navigate the device. 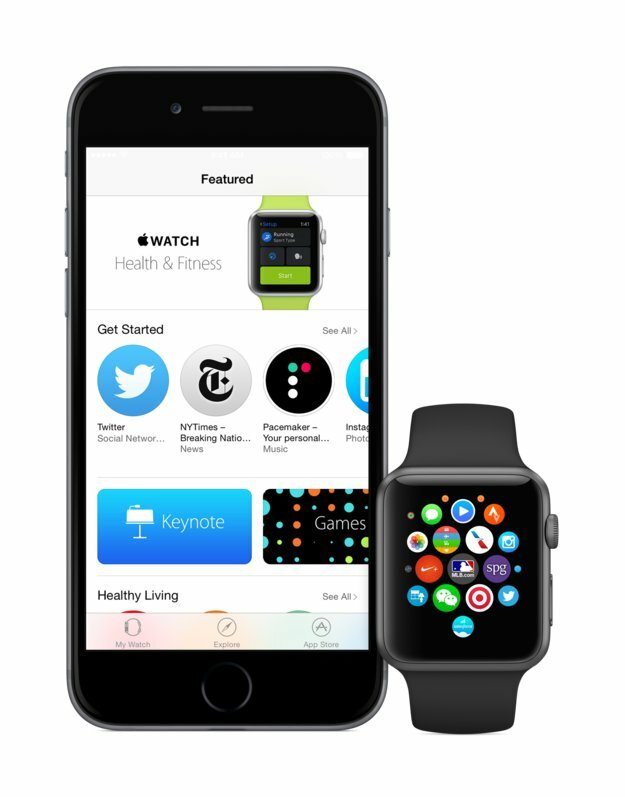 The Watch App Store can be found through a tab in the Watch app built into iOS 8.2 and 8.3. It mirrors the layout of the standard iOS App Store, but features circular app icons along with a different set of promoted sections, such as "Get Started" and "Healthy Living." Some of the highlighted apps include Twitter, Keynote, the New York Times, and music mixer Pacemaker. In all there are approximately 3,000 apps. The same titles can be downloaded through the iOS App Store, since they're only extensions of iPhone software, but using the Watch app makes it easier to discover compatible options. The User Guide is broken down into numerous different sections. These range from absolute basics —such as pairing, Faces, notifications, native apps, and Glances —to enabling Accessbility features and various troubleshooting steps. Readers can for example learn how to update firmware, reset or restore, and remove the data on a lost or stolen Watch. Apple notes that Watch contents are actually backed up "continuously" to a paired iPhone, rather than a Mac or PC, and in turn become a part of that iPhone's backup file in iTunes or iCloud. A Watch backup is performed automatically if a user chooses to unpair, and owners are expected to restore from their iPhone if they send their Watch in for repair or buy a new one. Unpairing will also cause a Watch to be removed from a person's iCloud account. If a Watch is stolen, Apple suggests going to iCloud.com first to remove any cards saved to Apple Pay.